Tina Fey’s 2004 teen comedy Mean Girls remains one of the funniest and most quotable films of all time. Who hasn’t gone to a gay bar and heard, “You go, Glen Coco!” or “She doesn’t even go here!” shouted in response to some foolishness? 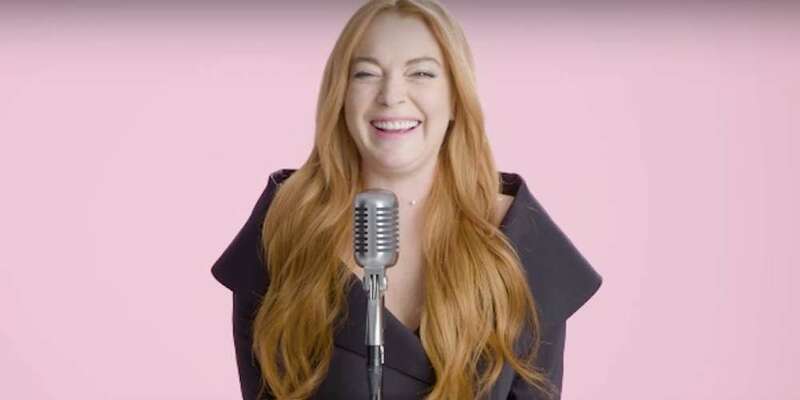 So we were excited when we heard the film’s red-headed star, Lindsay Lohan, made a video reciting her eight favorite Mean Girls lines … that is, until we watched it. Because for all our love of her and the film, there’s something off about this Lindsay Lohan Mean Girls video. 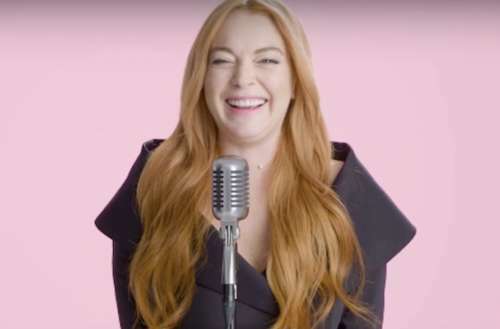 We can’t tell if it’s the fact that Lohan holds her hands behind her back the entire time, if it’s her laughing at her own delivery or the fact that she says each line in more or less the same fashion, but something ain’t right. Thankfully the video improves near the end because instead of just reciting the lines and moving onto the next one, she starts repeating the lines differently, delivering them in subtly different ways, which is … pretty funny. Her best line in the video is actually, “You smell like a baby prostitute,” a line that goth girl outcast Janis (Lizzy Caplan) disgustedly says to Kady (Lohan’s character) when Kady admits she’s wearing perfume given to her by Regina George (Rachel McAdams), queen bee of The Plastics, the meanest girls in school. The stage musical version of Mean Girls is actually coming to Broadway on April 8, 2018. Tina Fey adapted her screenplay for the stage, and her husband, composer Jeff Richmond, wrote the score. Fey updated parts of the story — for example, Kady’s transformation into a mean girl is aided by her social media “likes” — but otherwise the story (and quotes) stay mostly the same. Oh, and there are songs, too, something the movie didn’t have much of (outside of the hilarious “Jingle Bell Rock” performance).